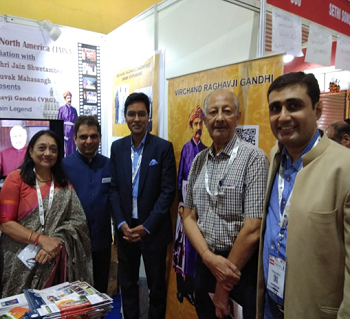 JAINA and its VRG Committee participated in India’s largest Jain B2B Conclave, JITO Udaan 2019 Exhibition, in Mumbai on March 15-17, 2019. Copies of biography on VRG, flyers of JAINA, JAINA Convention 2019 and Jain eLibrary were distributed at JAINA stall. Details are given below. 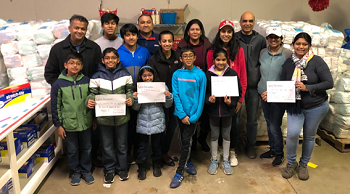 Jain Milan 2019 will be hosted in New Jersey / New York Area from April 19-21, 2019. It’s a great opportunity for Jain singles to find their ideal life partners. Registration details are given below. 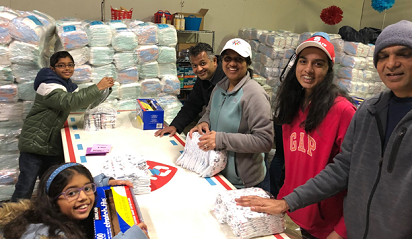 On behalf of JAINA EC, we send our heartfelt condolences to JAINA Past President Lataben Champsee on passing of her husband Motibhai on Saturday 23rd March, 2019 in Toronto. May his Soul Rest In Peace. There is no knowledge without right faith, No conduct is possible without knowledge, Without conduct, there is no liberation, And without liberation, there is no deliverance. Q 1: Can you name the types of Nama karma? Q 2: Can you name the types of Gotra karma? 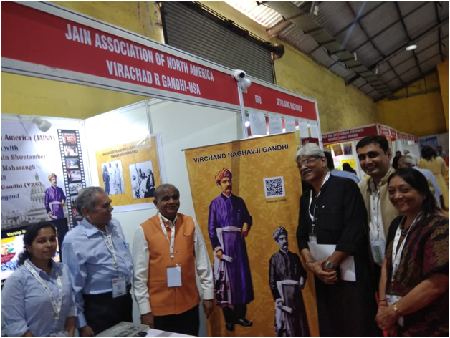 Last weekend, JAINA and its VRG Committee in association of Yuvak Mahasangh participated in 3-day JITO Udaan 2019 Exhibition on March 15-17, 2019 at NESCO, Mumbai, India. JITO UDAAN, India’s largest Jain B2B Conclave was organized by the Jain International Trade Organisation. The conclave had various pavilions for B2B, Job Fair, Start-ups, Seminars and more. The agenda to participate in the exhibition was to create awareness about Shri Virchand Raghavji Gandhi. 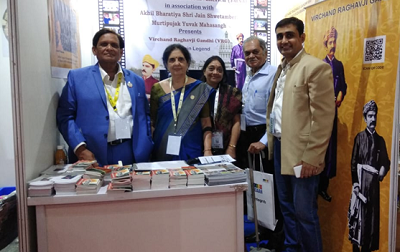 With the support of Nitin Duggad and JAINA VRG Committee, copies of biography on Shri Virchandji Gandhi, flyers of JAINA, JAINA Convention 2019 and Jain eLibrary were distributed by Priyanka Mehta - JAINA India Team member, Mr. Pankaz Hingarh - a Researcher on VRG, Priti Shah - co-author of the book "Gandhi Before Gandhi". 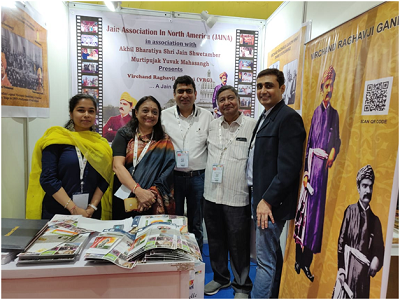 Delegates like Dilip Shah - Past President of JAINA, Dr. Bipin Doshi, Dr. Ranna Doshi, Rahul Kapoor, Himmant Gandhi, Mahesh Gandhi, Gunvant Barvalia, Dipak Jain, Arvind Joshi - Head of Arihant TV Channel and many others visited JAINA stall. JAINA is thankful to everyone who worked behind the event and made it successful. We are honored to share with you that Jain Milan 2019 will be hosted in New Jersey / New York Area from April 19-21, 2019. During this event the participants will enjoy a relaxing weekend retreat where they can mingle with other like-minded Jain singles (21+). 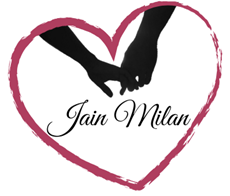 Past Milan’s have seen many Jain singles find their ideal life partners as well as forge life long friendships amongst participants. 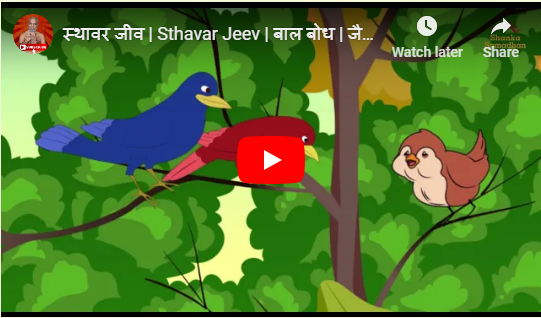 To register for Jain Milan: https://jainmilan.ticketspice.com/jm. For queries, please write to jainmilan@jaina.org. 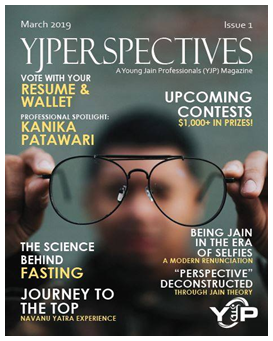 Please join a national webinar to let YJP know what you think about the content in their first issue.